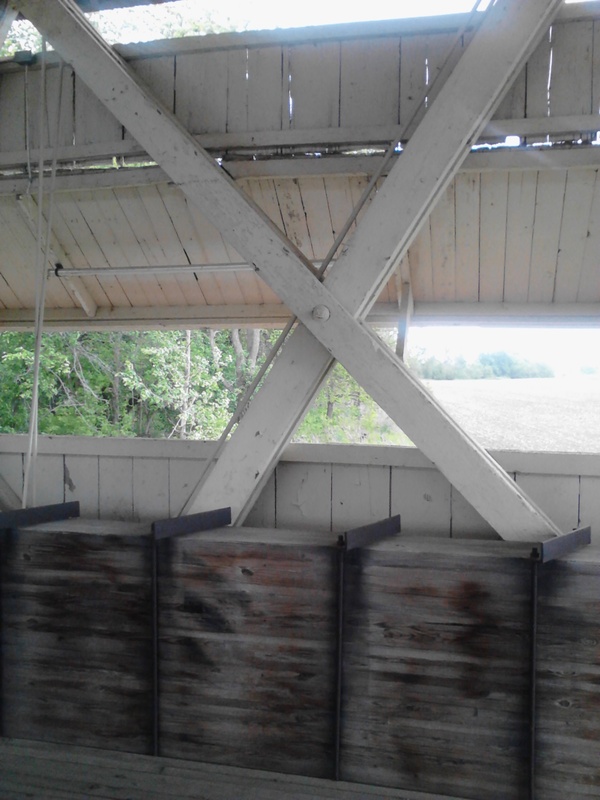 Recently, I went to a covered bridge in Union County, Ohio with my camera and spent a little while admiring a 142 year old wooden covered bridge. 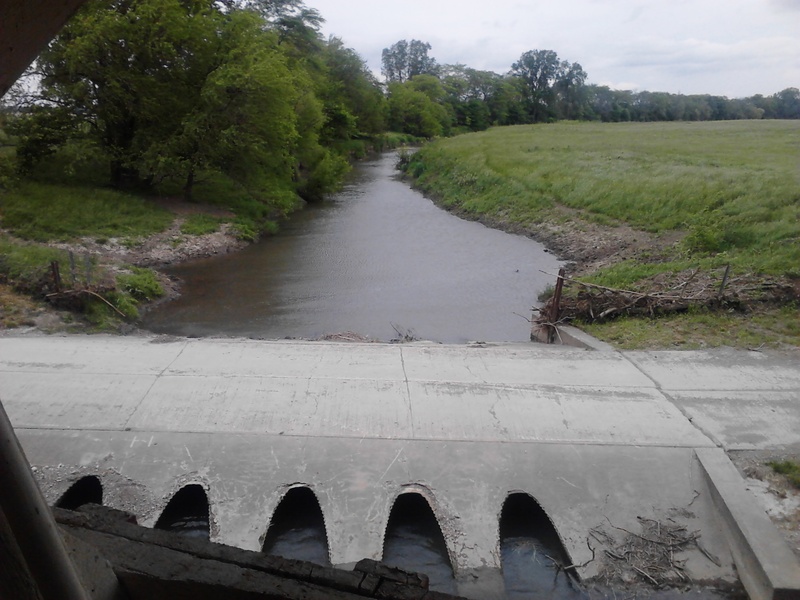 Often I hear people asking, “Why did they make bridges covered?” I have heard many good answers. 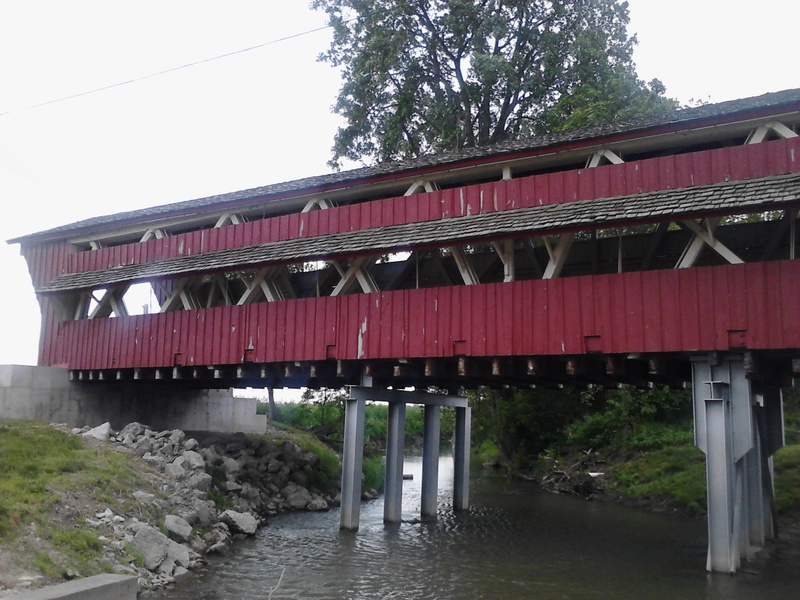 But, the reason for covered bridges was an answer to an engineering problem. 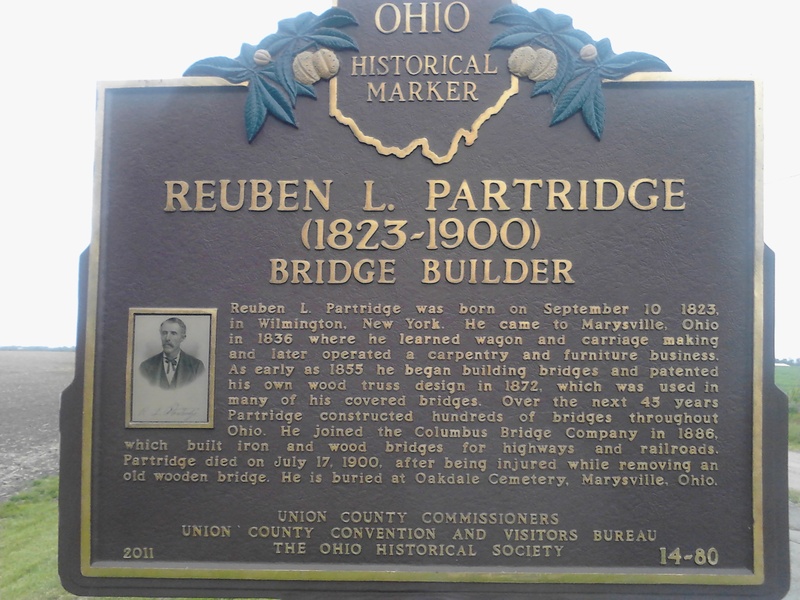 Before bridges were made of iron, steel, and concrete, they were made of wood. 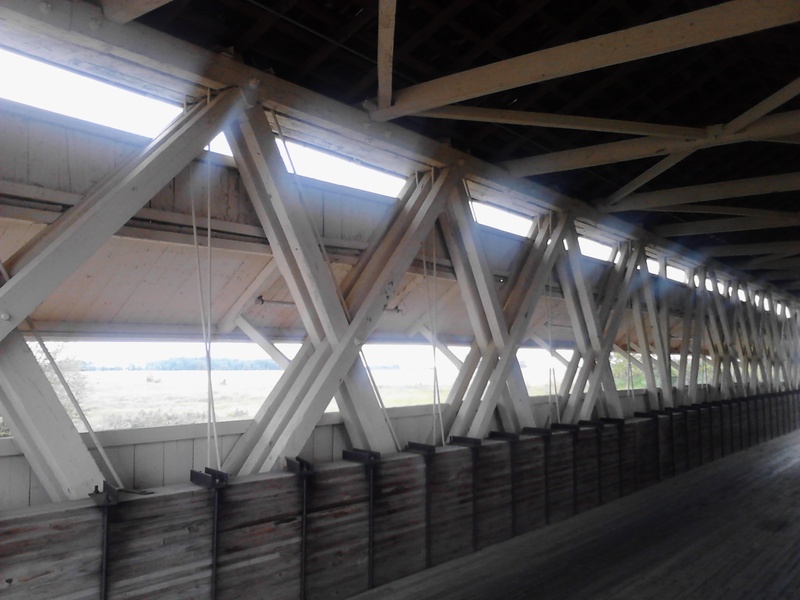 They created wooden truss from which the bridge was built. The problem was that a wooden bridge exposed to snow, rain, and sun, would only last ten to fifteen years. 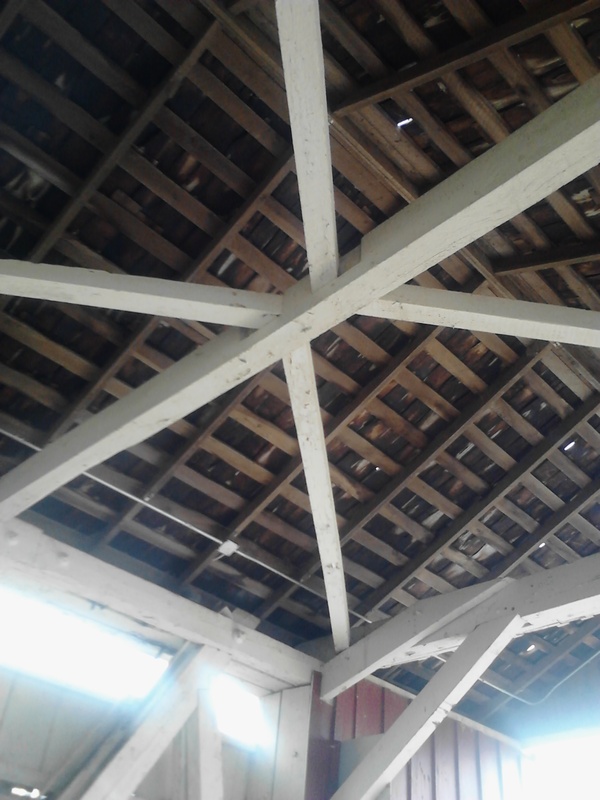 By building the bridge with sides and a roof they could extend the life of the bridge. Like I said, this one is 142 years old. 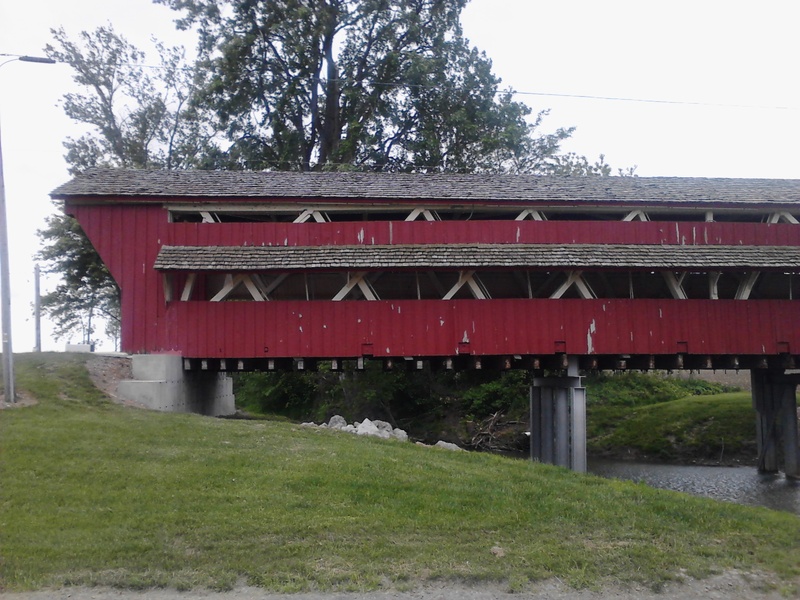 So, without further ado, here is the Culbertson Covered Bridge. 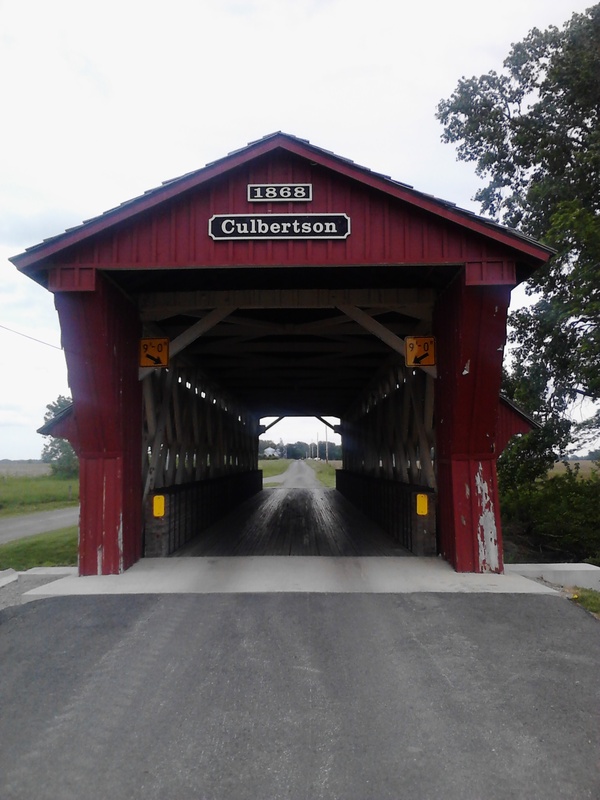 Entrance to the Culbertson Covered Bridge. 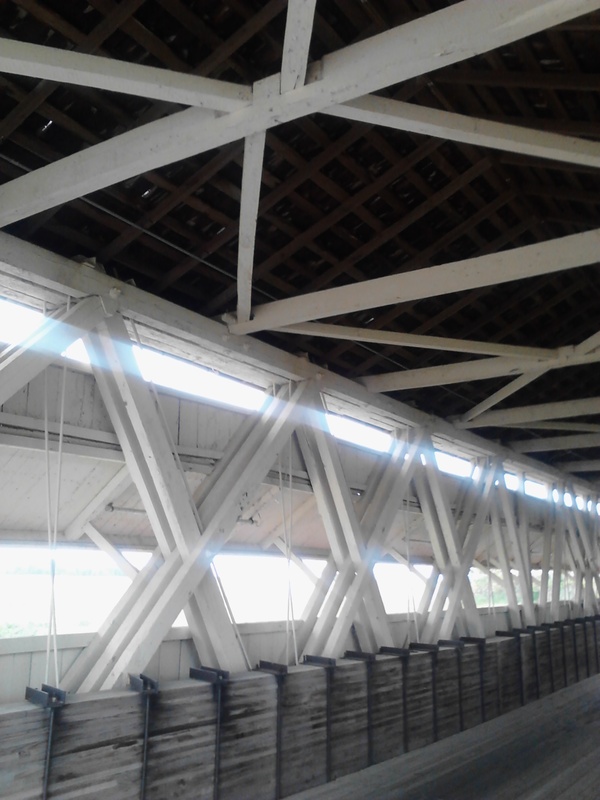 Interior of the Culbertson Covered Bridge. 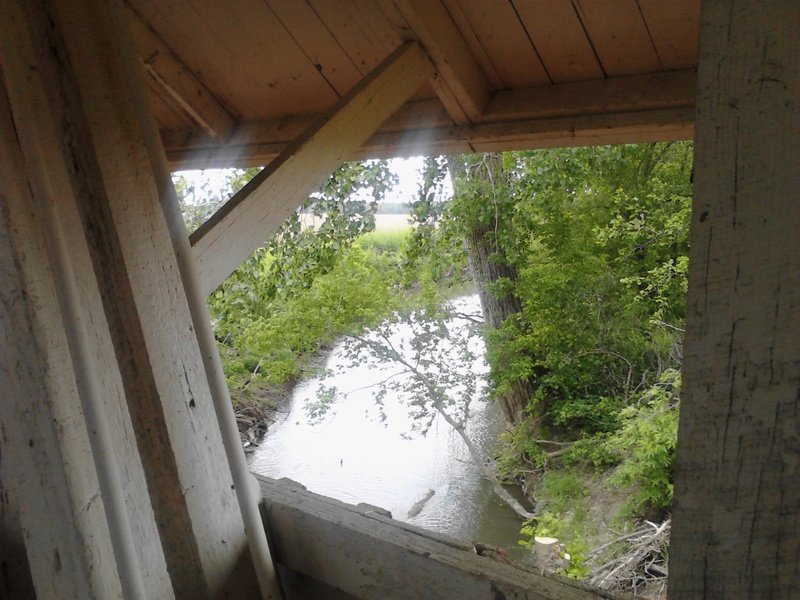 Interior of the Culbertson Covered Bridge looking at another bridge beside the Culbertson Bridge. The wooden bridge cannot handle the weight of some of the modern vehicles using this road, the a smaller bridge was built to handle the heavier traffic. 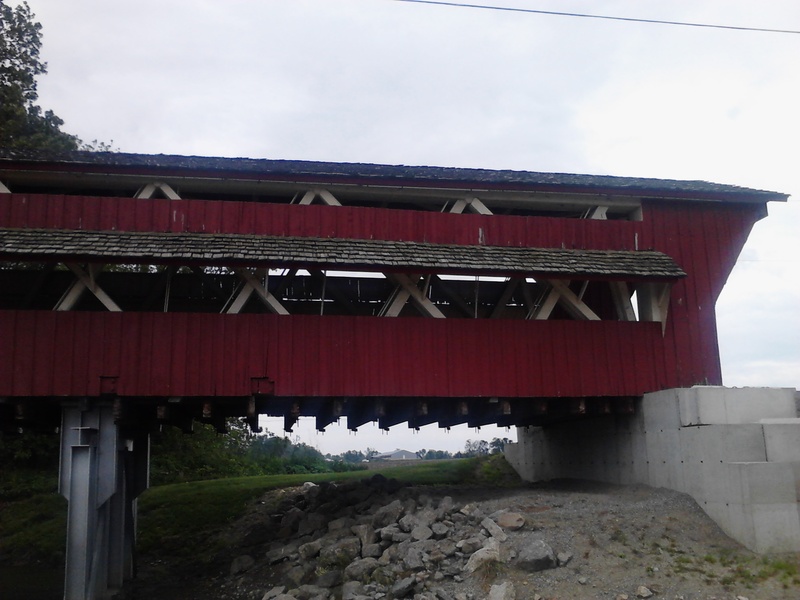 Exterior of the Culbertson Covered Bridge. 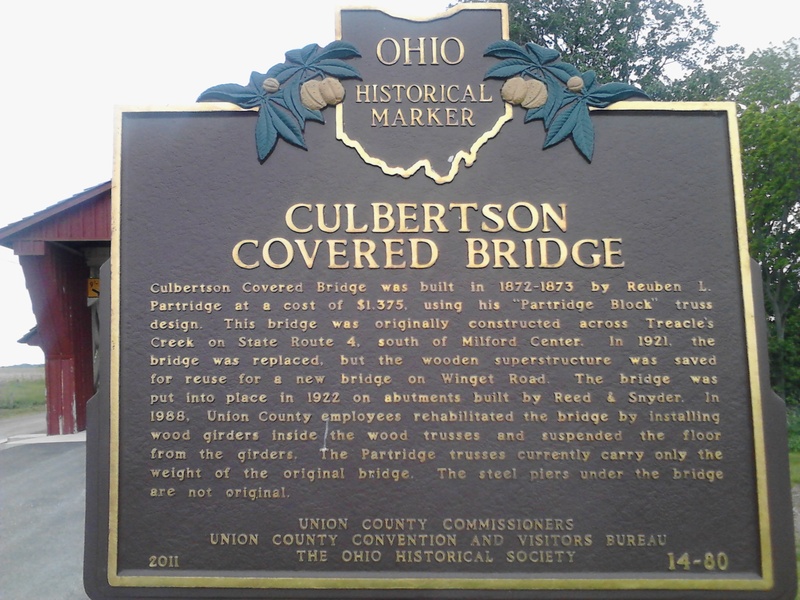 Historical marker for the Culbertson Covered Bridge. Monday is Memorial Day, an American holiday. It is the weekend the summer season starts in the United States. The holiday was created to remember those persons in the armed forces of the United States who gave their lives in the line of duty in the service of our country. In America today, Americans seem to have forgotten that. They use the holiday to remember friends and loved ones (who did not serve) or other people who died while performing civic duties to their community, they use the holiday to thank veterans (we have our own day which is November 11, and it is called Veteran’s Day), or any number of other things. For many it is just the first weekend of summer, a weekend for sports, picnics, and BBQ’s. This weekend I am going to remember those who died wearing the uniform of the United States military, in particular, those who are buried in military cemeteries outside the United States. Men like Bill Goodykoontz. He was serving in France in World War One. He was killed in action the first day of the battle of Belleau Wood. He is buried on the battlefield where he fell, never to return home again to a home he gave his life for. Bill was a young man and never had a chance for a wife and kids of his own. He died making it possible for my daughter to be born in a free country. 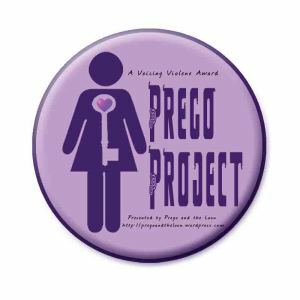 So, this weekend I am going to quietly think about Bill Goodykoontz and the price he paid for my daughter than me. I never got to meet Bill, but my grandfather always missed his older brother. H.L. Hunley: its life and controversies. 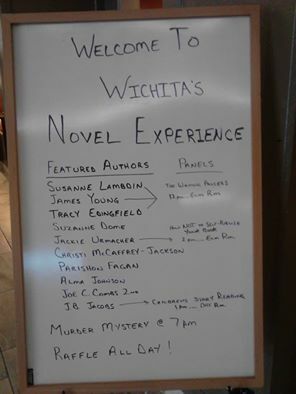 Yesterday I was at the Wichita Novel Experience, and even though the Wichita Art Museum was having it annual book fair yesterday, the Novel Experience was quite a success. 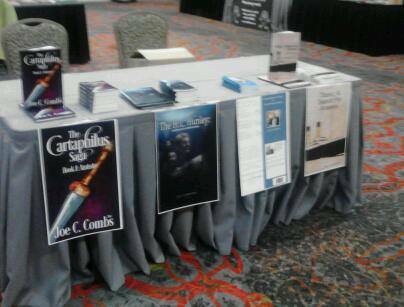 I met other authors and readers (some of whom want me to hurry up and finish the second book in the Cartaphilus Saga – I am, I am). My editor for my book H.L. 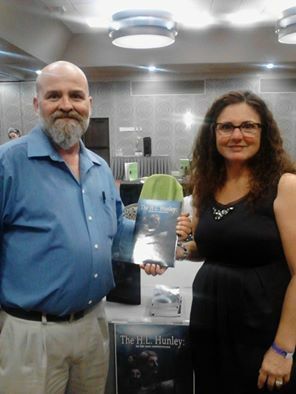 Hunley: its life and controversies, Kimberly Martinez, was there with me as well. The Hunley book was Ms. Martinez’s first published book as an editor. We will announce the next book signing here. Have a great weekend. 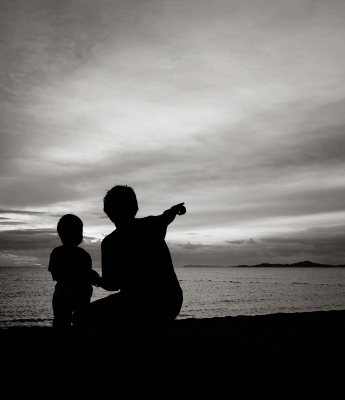 And to all the mother’s out there – enjoy your day – you’ve earned it.